Salman Khan hosted Bigg Boss’ season 12 is mere days away and his fans cannot wait for his return on their small screens. As the show’s premiere is coming closer fans are going crazy by speculating who will participate on the reality show. Probably that is why Shoaib Ibrahim decided to put the fans out of their misery and drop a big clue about the show’s latest contestant! As per an interview with Saas Bahu Aur Betiyaan Shoaib Ibrahim has confirmed that his wife Dipika Kakar Ibrahim will be participating in Bigg Boss season 12! Bigg Boss 12 Celebrity Contestant List Leaked! These 6 Celebrities To Enter The BB House? However, previous reports suggested that Dipika Kakar will be entering the house solo. So much for maintaining suspense! While Shoaib Ibrahim has let the cat out of the bag we wonder will he or Dipika face any legal action? Why, you ask? As per norm all the contestants sign a non-disclosure agreement with the makers of the show before entering the Bigg Boss house. It is said that the document clearly states that the participants cannot reveal the details of their participation or anything related to the show to the outside world unless told to. 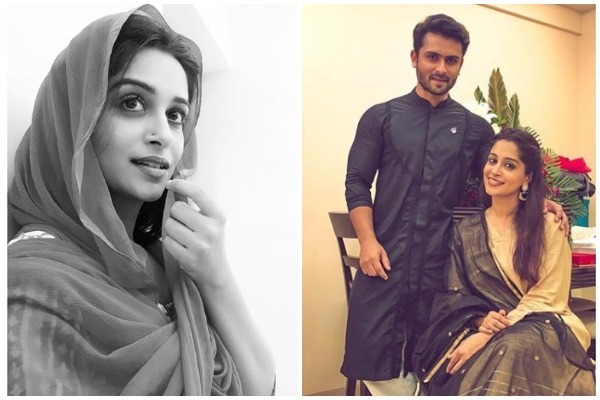 So, does this mean that Shoaib Ibrahim and Dipika Kakar will land in a soup? As for other contestants— comedian Bharti Singh and her husband Haarsh Limbachiyaa are the first confirmed Jodi of the show. As per a new promo another rumoured Jodi consists of a lawyer and a police officer, both are commoners of course. Other rumoured contestants include British pornstar Danny D and his partner Mahika Sharma, former Indian cricketer S Sreesanth, MTV Splitsvilla winner Scarlett M Rose and her boyfriend,Ishqbaaz actress Srishty Rode and previously married to actress Daljeet Kaur and accused of domestic violence— Shaleen Bhanot. Guess only time will tell how true are these rumours and if the Ibrahim couple will face legal action or not. Salman Khan hosted Bigg Boss season 12 will star airing from 16 September and we cannot wait!